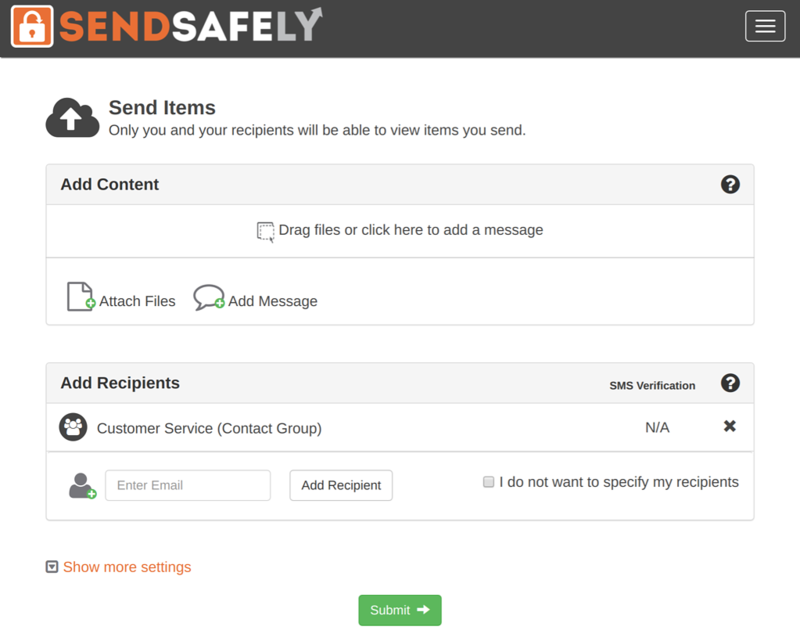 Do you use SendSafely to send files or messages to the same group of people on a frequent basis? If so then you'll love our new feature, called Contact Groups, that lets you easily manage lists of recipients to streamline the sending process. You can create a Contact Group for internal teams, external distribution lists, or any other group of people you communicate with regularly. Contact Groups are created and managed in your SendSafely Profile. Navigate to: Account Menu > Edit Profile. Repeat step 3 for each new member of your group. If you have a large number of users to add, you can paste up to 100 email addresses at a time. Once you've created the Contact Group, you can add the group as a recipient to any items you send. Just enter the Contact Group name in the Add Recipient field on the Send Items page as shown below (you can also add groups to an existing item from the item's Status screen). For SendSafely enterprise customers, Contact Groups can also be defined at the organization level and made available for use by all users within the company. Enterprise Contact Groups can be viewed and managed from the SendSafely Enterprise Console (requires company administrator permissions). For more information or questions regarding SendSafely Contact Groups, you can email our support team at support@sendsafely.com.